With its fairytale castles, medieval villages and beautiful, cultured cities, Slovenia is a country rich with culture, art and history. Add in its truly spectacular landscapes, from the dramatic peaks, lakes and forests of the Julian Alps to the beaches, canyons and caves of the Adriatic coast, and it’s clear that this is a remarkable European destination that should be on your radar. Explore Ljubljana, Slovenia’s gorgeous capital, with its cobblestoned streets, Baroque architecture and leafy, car-free city centre set on the banks of the Ljubljanica River. Marvel at the idyllic beauty of Bled, with its emerald-green lake, cliff-top castle and spectacular mountain backdrop; and head to the magnificent Julian Alps to hike among rugged limestone peaks, enchanting pine forests, high mountain lakes and peaceful alpine valleys. 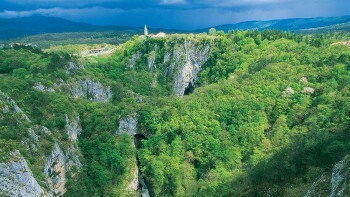 See the World Heritage Listed Skocjan Caves, an impressive underground network of thousands of karst halls and canyons; and sample Slovenian wines in the picturesque growing region of Brda. 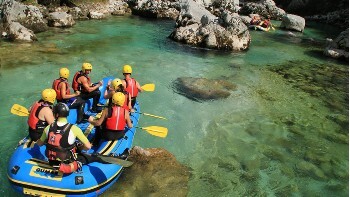 Raft whitewater rapids on the Soca River; tackle a climb of Mount Triglav, Slovenia’s highest peak; or cycle the famous Parenzana Bike Trail, a disused narrow gauge railway leading through tunnels, villages and stunning scenery across the border into Croatia. 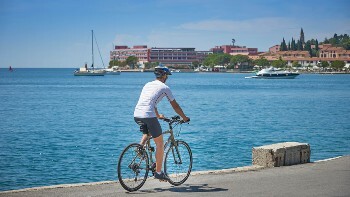 Our unique active adventures are tailored to get you deep into the heart of this magic country, taking in its key highlights as well as experiencing the beauty of its lesser-visited trails. 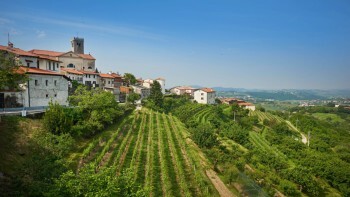 Join us as we explore beautiful Slovenia! 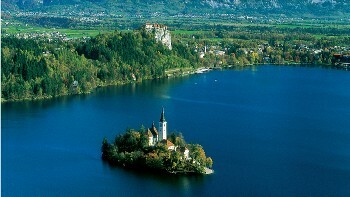 Bled's setting on the emerald lake, with a castle overlooking both, couldn't be more idyllic. 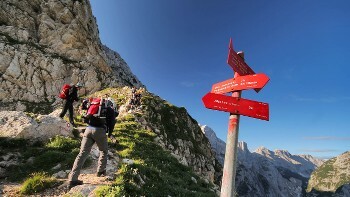 At 2864m, it's Slovenia highest mountain and you have the option to climb it. Take a break from the saddle or feet to try white water rafting this beautiful alpine river. 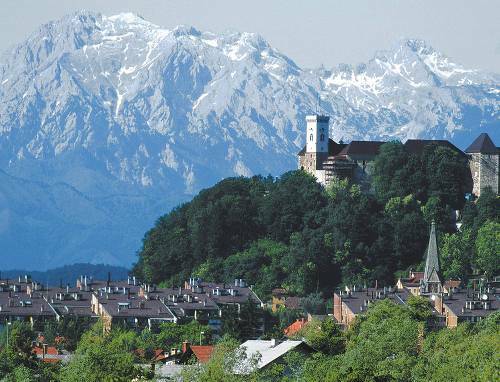 A fairytale landscape producing renowned wines and the famous Cherry Festival. 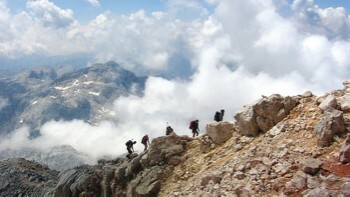 A must-do European hike featuring high mountain lakes, peaceful alpine valleys and rugged limestone peaks. Ride along the disused railway line across the border to Porec in Croatia. Discover the UNESCO listed network of underground halls and gorges on the main Karst plateau. This green, leafy city restricts car traffic to its centre, making it easier for cyclists and walkers to enjoy. Our trips are designed to be affordable, providing you with all the necessary ingredients for a successful journey at a price that will leave more in your pocket. On self guided trips you can expect to receive up-to-date and well researched route notes and maps, seamless luggage transfers and competitive pricing on all essential services. Many self guided trips also have daily departure dates. Enjoy the convenience and flexibility a self guided trip offers. Often family run, these charmimg hotels range from 2 to 4 stars and provide access to local living thanks to your hosts. The hospitality is generous and their local knowledge is invaluable. Where possible, we choose locations that add to your experience. Live like a local on a farm, or purpose-built farm. Rooms are clean, comfortable, usually have a pleasant outlook and rooms vary as to whether they include an en suite bathroom or shared facilities. Electricity in Slovenia is 230 Volts, at 50 hertz. The pin type is C. (2 round prong).